Today, the president of Meharry Medical College informed the community of the death of Dr. Lloyd C. Elam yesterday. 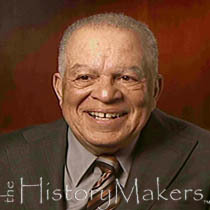 Dr. Elam was the 6th president of Meharry, having become president at 39 years old on June 6, 1968. The presidency was just one of many of the roles Dr. Elam served the college throughout his 25 years there. Dr. Elam had many accomplishments, was very active in the community, and received numerous rewards and accolades for his contributions. The picture is from a biography page about Dr. Elam at http://tinyurl.com/4h8v5o. Dr. Elam was born in 1929 to Harry P. (Apr 1899 – Sep 1975) & Ruth Elam (c. 1903 – ?) in Little Rock, Arkansas. From the family’s 1930 census record, I see that Dr. Elam had at lease two siblings, Margaret & Theodore. At the time, Lloyd was 1 year and 5 months old. Source Citation: Year: 1930; Census Place: Little Rock, Pulaski, Arkansas; Roll: 92; Page: 6A; Enumeration District: 37; Image: 317.0. Ancestry.com. 1930 United States Federal Census [database on-line]. Provo, UT, USA: The Generations Network, Inc., 2002. Reading about Dr. Elam’s life as I’ve been doing over the past few hours has been educational and I know that he will be dearly missed by all his family, friends and colleagues. Rest in peace Dr. Elam.